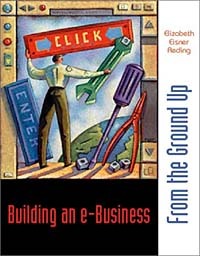 Описание:Building an E-Business: From the Ground Up is an "e-commerce" book that moves beyond a survey atmosphere to provide hands on experience. It is designed specifically for those who want to develop web skills and business plans for use in starting an e-Buisness. This book integrates and fills the gap between "How to Design Web Pages" and Buisness and Marketing courses. It is not a "How-to" book dealing with the conversion of existing buisnesses to the electronic arena; it focuses on entrepreneurs who want to begin an eBusiness but lack basic knowledge of the Internet and in developing business and marketing plans. Building an e-Business is different because it is aimed at those interested in starting an e-Business, makes use of the Web, and assumes little or no Internet Knowledge.